Radon is the second leading cause of lung cancer, after cigarette smoking. Both contaminants increase your risk of developing lung cancer. Radon testing is the only effective way to determine whether you and your family are at risk of radon exposure, and thus lung cancer. For excellent, timely and safe radon testing in the St. Cloud, MN area, contact H&S today! Radon is a radioactive gas that forms naturally when uranium, thorium, or radium – which are radioactive metals – break down in rocks, soil and groundwater. People can be exposed to radon primarily from breathing radon in air that comes through cracks and gaps in buildings and homes. The U.S. Environmental Protection Agency (EPA) and the Surgeon General’s office estimate radon is responsible for more than 21,000 lung cancer deaths each year in the U.S. When you breathe in radon, radioactive particles from radon gas can get trapped in your lungs. 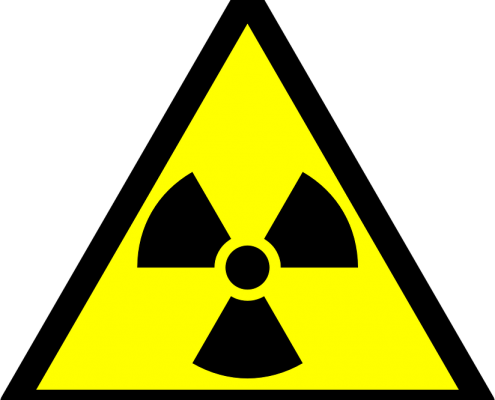 Over time, these radioactive particles increase the risk of lung cancer. It may take years before health problems appear. The EPA recommends taking action to reduce radon in homes that have a radon level at or above 4 picocuries per liter (pCi/L) of air (a “picocurie” is a unit for measuring radioactivity). More than 40% of Minnesota homes have dangerous levels of radon gas in them according to the Minnesota Department of Health. The MDH wants every home in Minnesota to have radon testing done every 2-5 years. Fortunately, radon testing and mitigation are relatively easy, affordable steps to take to protect yourself and your family. There isn’t much we can do to prevent radon from getting into a home, but once inside, mitigation is the best way to reduce radon levels by redirecting the radon through a ventilation system. A radon mitigation system is a ventilation system which is installed on an exterior wall and vents radon out of the basement/lower level. This helps improve the quality of the air. Sealing the cracks or other areas where radon is entering the home has not been shown to reduce radon in the long-term. If you need help keeping your home safe, contact the duct cleaning experts at H&S!